Characteristics of a canine kennel cough treatment include a bacterial infection that causes upper respiratory inflammation, according to the Vet Info website. Kennel cough generally clears up without treatment, but pet owners can try some home remedies to keep their dogs comfortable. According to the Dog Health Guide, the main symptom of kennel cough is a persistent cough that sounds similar to a person clearing his throat. A dog may vomit after eating because the cough triggers its gag reflex. Giving dogs constant access to fresh, clean water may help prevent dehydration, calm the cough and keep a dog comfortable. According to the Doctors Fosters and Smith website, recent studies show kennel cough bacteria may be harmful to young children and those with compromised immune systems. Keep dogs isolated in order to prevent a health risk to people and other animals. A veterinarian may prescribe antibiotics and cough suppressants which can be administered at home, according to the Vet Info website. There are several home remedies which may help calm a dog’s cough and help it overcome kennel cough. 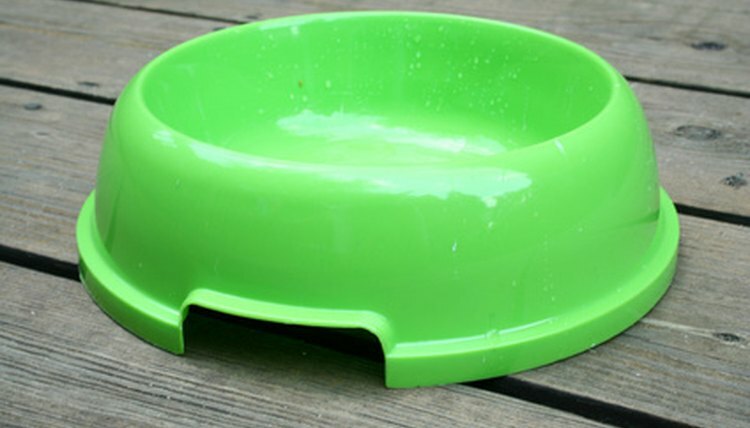 Add citrus juice to dog’s water bowl to boost Vitamin C intake. Add echinacea to a dog’s food to help improve its immune system, suggests the Vet Info website. Symptoms of kennel cough mimic the symptoms of a more serious flu. Should dogs develop a fever or become lethargic, contact the veterinarian.